For sale many types of metal shelving, galvanized and painted metal shelves, metal shelves Warehouse and shop. Castellani Shop features a wide range of furniture through the use of metal shelving completely hook, in Italian production iron shelves used to store, for industries, for shops, for home. It is easily usable furnishing solutions for the storage of any product through the use of floors in galvanized and painted metal that can be positioned at various heights, adjustable shelves and easily manageable. 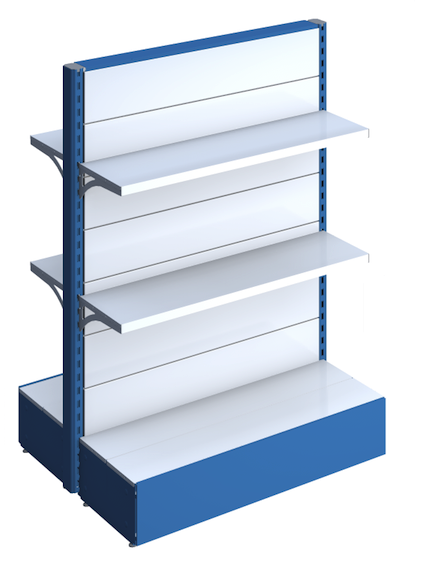 The metal shelves are one of the leading products sold on Castellani Shop. Many models of galvanized metal shelving interlocking plans. 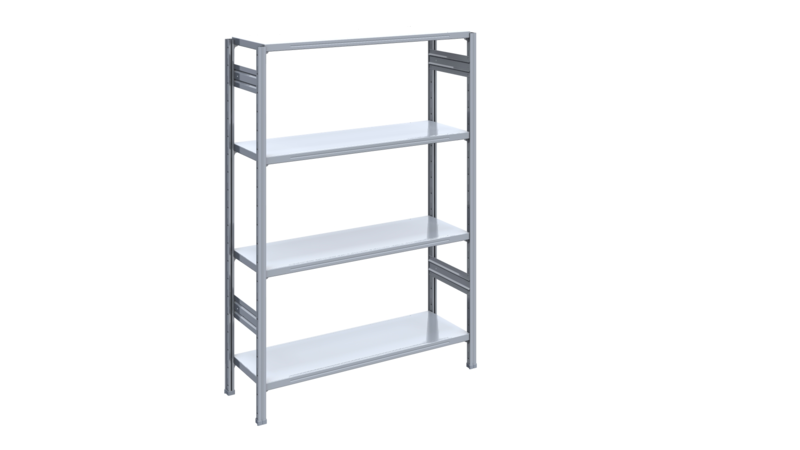 Our industrial shelving are fully interlocking and metal. The shelves are modular and modulabil at will. This type of metal shelving need to anchor the wall or ceiling. 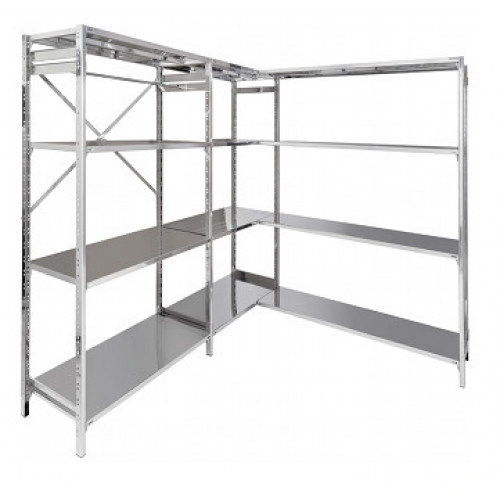 The metal warehouse shelves can be made of galvanized or painted and are very useful in the type of work places warehouses, workshops, garages, basements. The iron shelves are actually produced in Italy and are very comfortable and adaptable to any environment. Metal shelves painted warehouse, painted metal shelving gray or avion. online direct sales of metal shelving fully interlocking floors, metal shelving plans with possibility of inserting various accessories applicable thereafter. These types of metal structures from archive are designed and produced in Italy and reflect a whole series of certifications on raw materials and various production processes and processing of products. The metal racks are an optimal solution for environments such as warehouses, workshops, private homes. 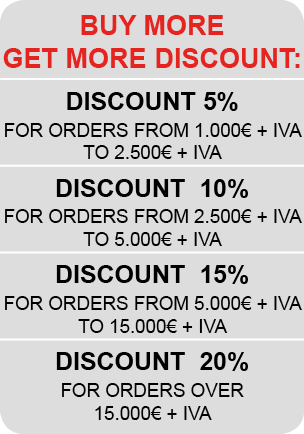 Sale and immediate availability of industrial metal shelving, iron shelf and in galvanized metal, furnishing solutions through modular metal shelves. Castellani Shop produces metal shelves for industries, metal shelves that can withstand high loads for the storage of goods, solutions with galvanized and portapallets warehouse shelving. The scope of the individual plans of each shelf can vary, each floor can increase its reach by entering some hidden reinforcements that guarantee greater stability to the industrial metal shelving. Metallic shelves painted shop, metal shelving made with wall modules or freestanding modules, colored iron shelves usable plans for the furnishing of stores, store. The use of these metal shelving shop provides a cozy shops and nice atmosphere to try to attract the interest of the customer. 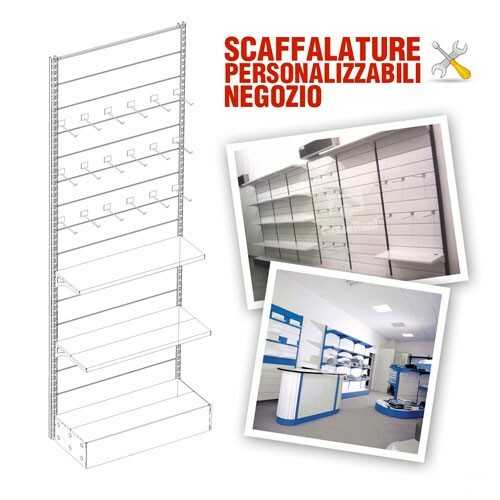 The shelves of the store are niche products for Castellani Shop, are composed of metal shelves for shop regolabil floors in height with side shelves, in various colors and in various sizes. Metal shop shelves are finished with colored front hoof trimming. Many models of metal racks self-service center of the room (gondola). only height cm. 140, various depths, various lengths. Our industrial scaffaluture are fully interlocking and metal. The shelves are modular and modulabil at will. The metal shelving from room to store center are excellent solutions to furnish some areas of the sales point using metal structures specially created 140cm height in such a way as to render flowable the correct view of the products on display from customers. Doing so it is exploited at 100% the quality of metal shelving from the store that are born as an idea alternative than wall metal shelving. 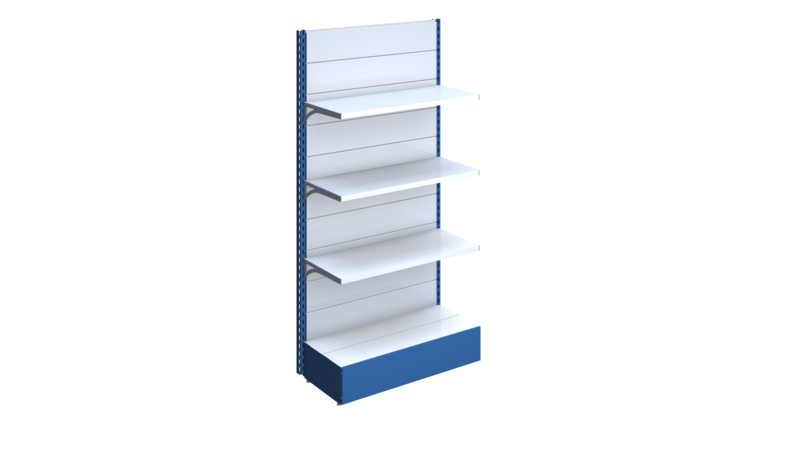 We give you the ability to customize and create the metal shelving at will. 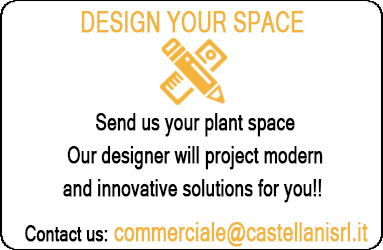 Castellani Shop has created an easy-to-use configurator that allows users to customize and create their own metal shelving Warehouse or shop composing it at will and according to the needs of spaces. The configurator Metal rack has a guided tour and allows the user interested in the configuration do not get lost and do not skip any steps that may be essential for proper creation by furnishing metal shelves. Customize the environment with metal shelves gives possibility customers even beginners to come into direct contact with the product and to select the quality and quantity of useful shelves. 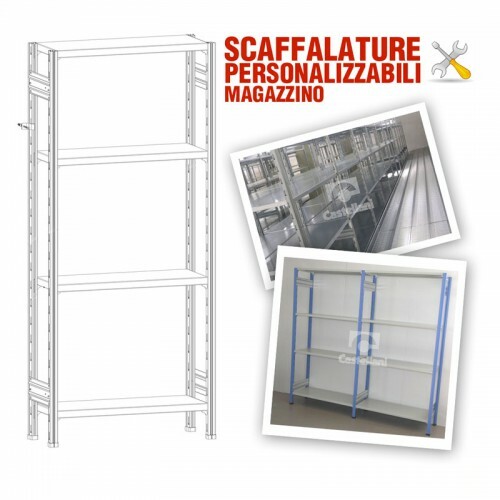 We give customers the possibility to personalize your metal shelving shop providing all necessary details for the correct configuration of the rack modules. It is uniquely configure their own shelf from the store to your store it allows you to become more aware of how the space will be occupied and furnished; is given the opportunity for users to realize the store furniture or the metal shelving to store at will by choosing the dimensions of the shelving, the number of floors for each shelving module, the color of the various components of the shelving. 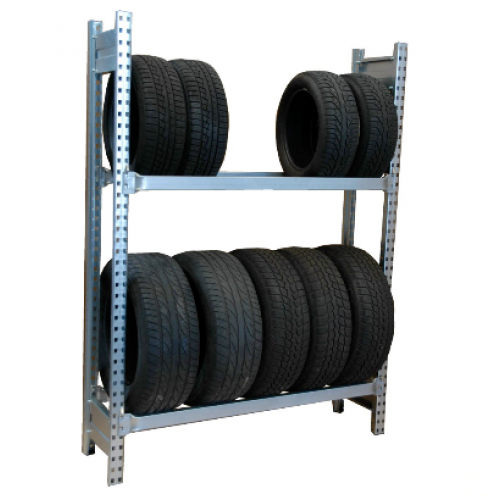 For sale on-line shelving galvanized and painted metal for storage of tires and tires, iron racks consist of horizontal cross placed at a distance such as to ensure proper support for the tires of cars and trucks. These metal shelves in galvanized steel are very useful for positioning in the garages and cellars of houses or even in companies, body shops. 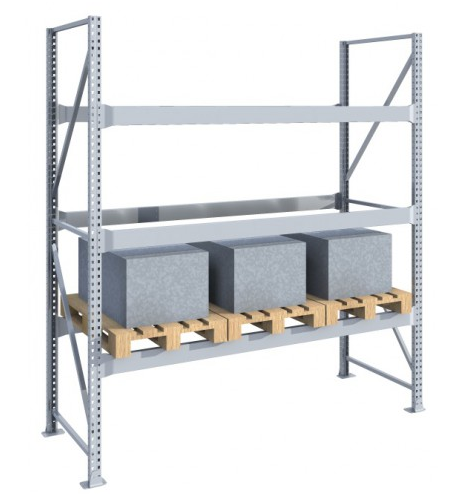 The metal shelving brings tires are made of galvanized sheet steel or painted gray and resisteni to heavy loads, also these shelves must necessarily be anchored to the floor or wall to ensure proper stability of the racking. 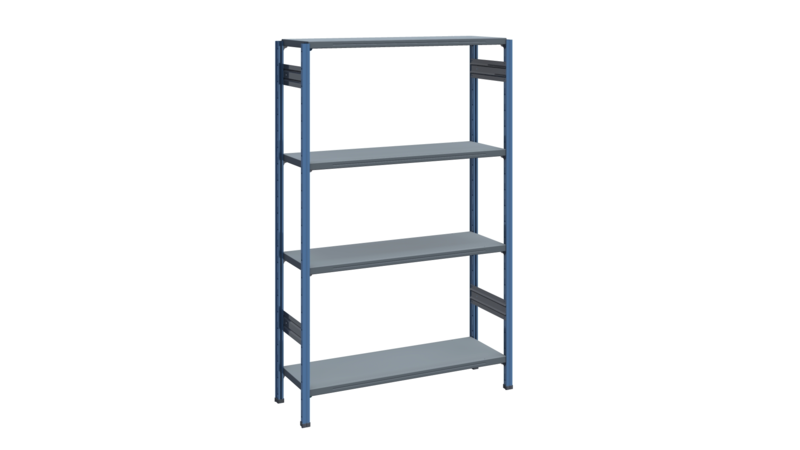 Available online portapallets metal shelving suitable to withstand heavy loads, galvanized metal industrial shelving for storing wooden pallets and bulk materials, these iron racks are composed of horizontal cross members and / or slats utilili to store heavy products and materials. Using this type of shelving we can reach great heights and high flow for each load level of the metal shelving. Questes structures require wall mounting or ground by proper mounting kit provided. For sale rack the interlocking stainless steel AISI 304 completely modular and configurable. The stainless steel racks are composed of hook-storey height-adjustable according to the slots arranged on the shelving uprights, also if they are not anchored to the wall are arranged in the rear stabilizer cruises that provide security to the structure and established the rack. The stainless steel shelves are guaranteed against rust for at least 10 years old and fully reflect all the regulations in the food industry such as HACCP. For this reason, these types of steel shelving is used in the food industry, kitchens, restaurants, bars, pastry shops. Wall shelves in plastic and polypropylene with transparent collection drawers. material storage solutions via special plastic racks or modular at will with various polypropylene boxes with top opening. The polypropylene shelving of this type can be customized by creating various heights and various dimensions that are dictated by the number and amount of drawer boxes in which we need. 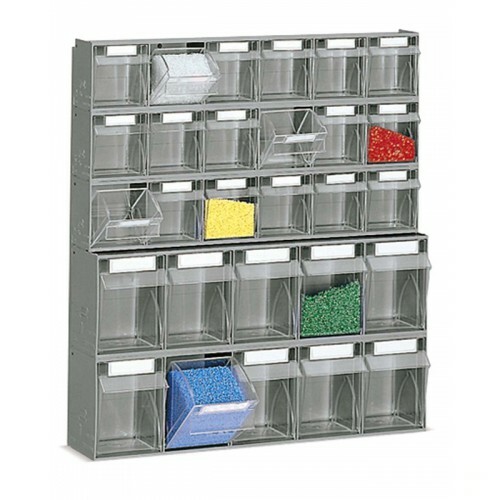 The size of the individual cassettes Practibox varied and generally these racks are used for storage of accessories or small to medium sized materials. The Practibox racks can be anchored to the wall or on the basis of special designed to keep the structure stable. 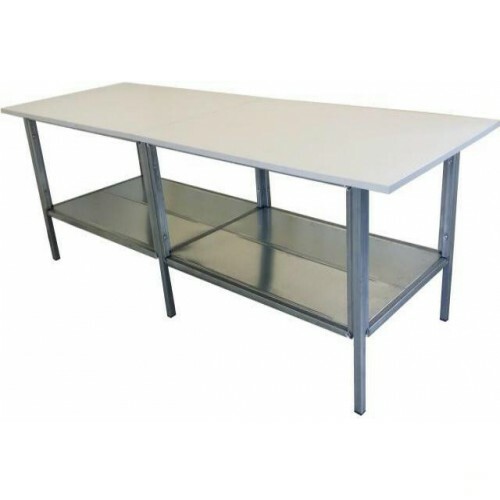 Workbenches with painted or galvanized metal structure and top in melamine or beech wood or metal. The workbenches are used in many areas of work and can be equipped with drawers, additional planes, wheels.